The Editor's Corner is my weekly blog series which spans nine months and a free-wheeling range of topics from ridiculous to the sublime, dialogue tags to our worst writer's fears. All 37 pieces can be found at EDITOR'S CORNER ARCHIVE. While my professional editing services come at a fee, I give you these pages for your amusement and erudition. And, if they help you write better, pay it forward: think fondly of me when you need an editor for your nascent bestseller. Writing and editing - the two endeavors are intrinsically entwined. 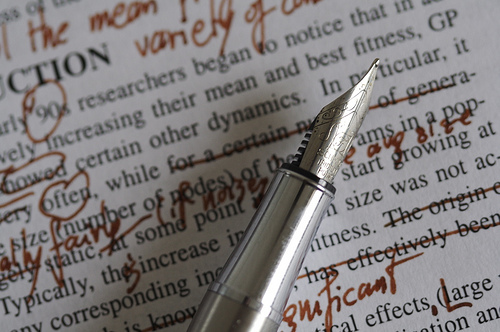 Even the most experienced scribe can benefit from a good editor. (A couple of very famous authors come to mind - no, I won't name names - who've insisted, contractually, that they not be edited. Sadly, it shows in the work, proving that, as with lawyers, writers who edit themselves have fools for clients.) We don't need someone to simply gush and insist every word is a gem plucked from the mouths of the divine literati. Grandma Esther does that. She's family; it's her job. An editor's job is to be supportively ruthless as she makes your work better. As an editor, I bring fresh eyes to an author's work, look for awkward passages, incongruities, weaknesses, even disasters waiting to happen. I help a writer strengthen their prose, and, honoring their voice, help them sing. Of course, an editor can only recommend; ultimately all choices are yours. Do not expect an editor to be a janitor cleaning up sloppy writing. That's your job, not ours. I am not a ghost writer, not even a major re-writer. One of the things I have noticed in much self-published work is what I would call an "anyone can write" mentality. And while this is true on a certain level, it leaves the field wide open for people with stories to tell but without the craft for the telling. A writer is first a craftsman - a wordsmith. Hone your craft if you want your work to soar. To that end, read great books and write, write, write. And before handing your hard-earned cash to an editor, polish your manuscript within an inch of its life. At the very least avail yourself of the tools of our trade, especially spelling and basic grammar checks. They're not infallible, but they are a start. Remember: you are stepping up, striving to enter the big leagues, and should respect your work enough to make it as good as it can be before sending it out into the world - even to your editor. Just because you write at home in your teddy-bear slippers and pjs, doesn't mean your work shouldn't go forth in crisp Ascot and morning coat. This is your baby. Send her into the world prepared. Be proud of her. I am a graduate of Bennington College, the author of two books and numerous short stories, published and not. And I have been a freelance editor for twenty years. I use Chicago Manual of Style as an editing baseline, but don't consider it the Holy Grail. I'm all for celebrating individual eccentricities if they are the result of deliberate, educated choices and not the by-product of lazy writing. Finally, know that I've seen editing from both sides. As a writer, I look for an editor I can trust - who gets me and who pulls no punches. As an editor, I look for work which, flaws aside, engages my mind and imagination. While I can and will edit most anything, I prefer working on fiction, both short and long. A fantasy/sci-fi writer myself, I will delve into any genre and edit with relish, as long as the words captivate. My only hard and fast rule is that the work demeans no one regardless of race, creed, gender, sexual orientation, or species. In the quest for such a proper fit, I believe the exchange of samples can be mutually beneficial. 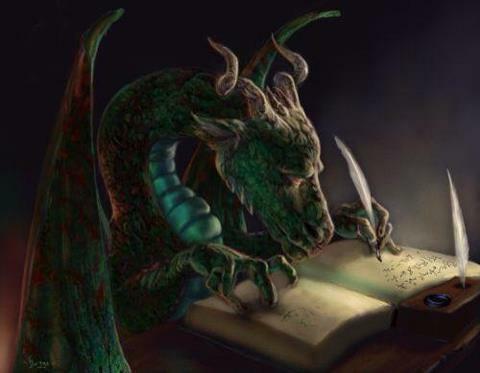 For a sense of my style, feel free to check out my Editor's Corner blogs, or look inside my books on Amazon: Dragons for Beginners and The Dragon Keeper's Handbook. "...it's rare that you find a heart, that has the ability to shine through to the radicolous true roots of the human sentence. Shawn MacKenzie has this gift, the gift of verdure, of silver sight, as if the armour and veins of Joan of Arc had been written into her skin!" a poetry book on the Spirit of the Holocaust. "As a writer and editor myself, I understand the importance of a good writer/editor relationship, and I have found that with Shawn MacKenzie. I've worked with Shawn dozens of times, on many different projects. Not only is she my editor, but I often recommend her to others. Shawn is an expert at what she does, and she inspires me to be a better writer and a better editor. Shawn's editing skills cross many genres - we have worked together on poetry, horror, memoir, historical, and experimental writing, as well as non-fiction pieces. Whenever I need editorial advice, I turn to Shawn. She is a trusted friend and a highly regarded professional colleague. FOR QUESTIONS ABOUT SPECIFIC SERVICES, RATES, ET AL., CONTACT ME.